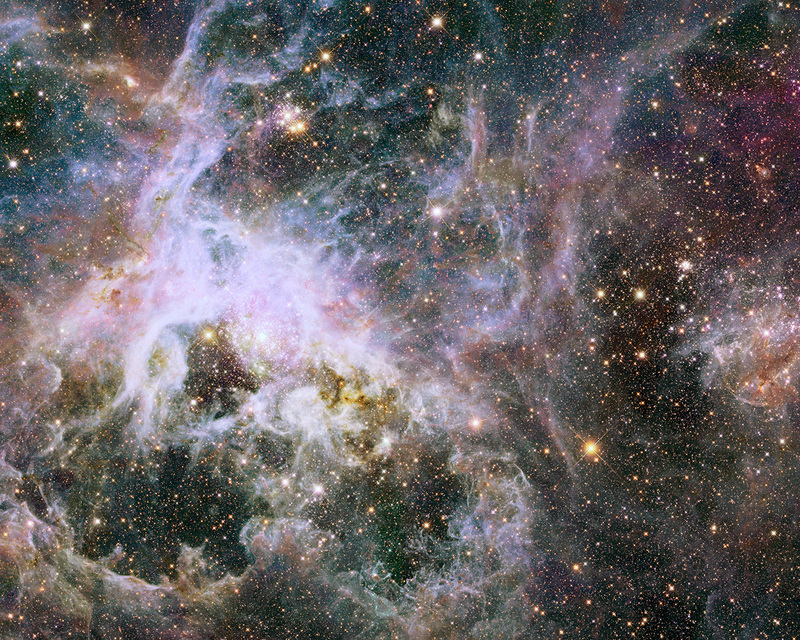 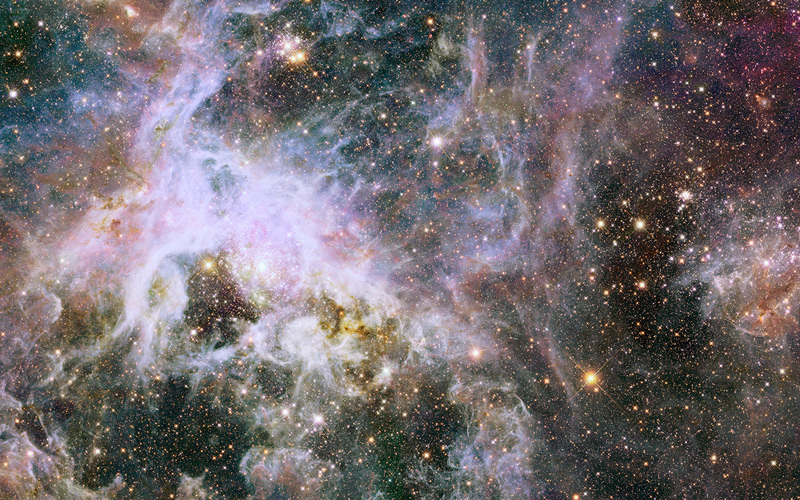 This new Hubble image shows a cosmic creepy-crawly known as the Tarantula Nebula in infrared light. This region is full of star clusters, glowing gas, and thick dark dust. 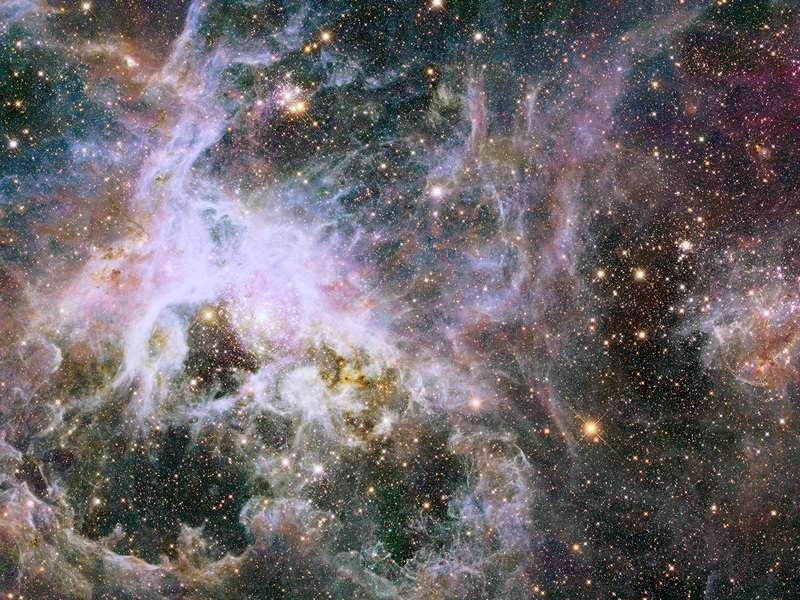 Position (Dec): -69° 7' 6.74"